U.S. Attorney Benjamin Glassman speaking at the podium with IRS Criminal Investigation special agent Ryan Korner. Two Columbus residents are among three individuals charged in connection with a $5 million online vehicle-sale scam. 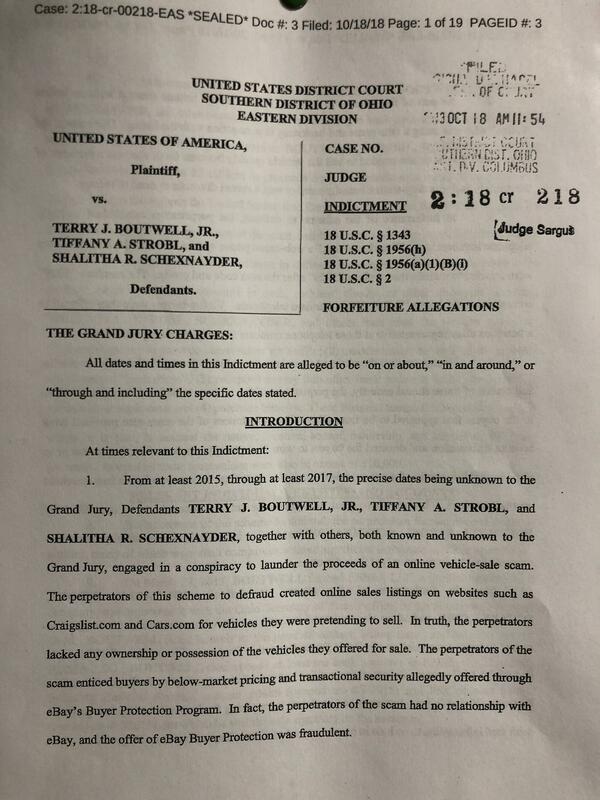 35-year-old Terry Boutwell and 39-year-old Tiffany Strobl along with 39-year-old Shalitha Schexnayder of Miami, FL all face a count of participating in a money laundering conspiracy. Boutwell has also been charged with three counts of wire fraud and three counts of concealment money laundering. 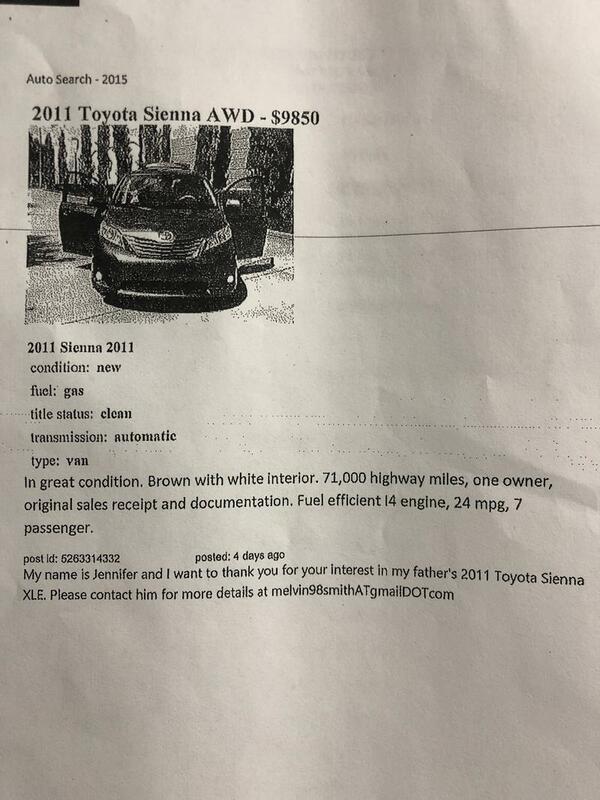 According to court documents, the scheme involved vehicle sale listings on legitimate websites. 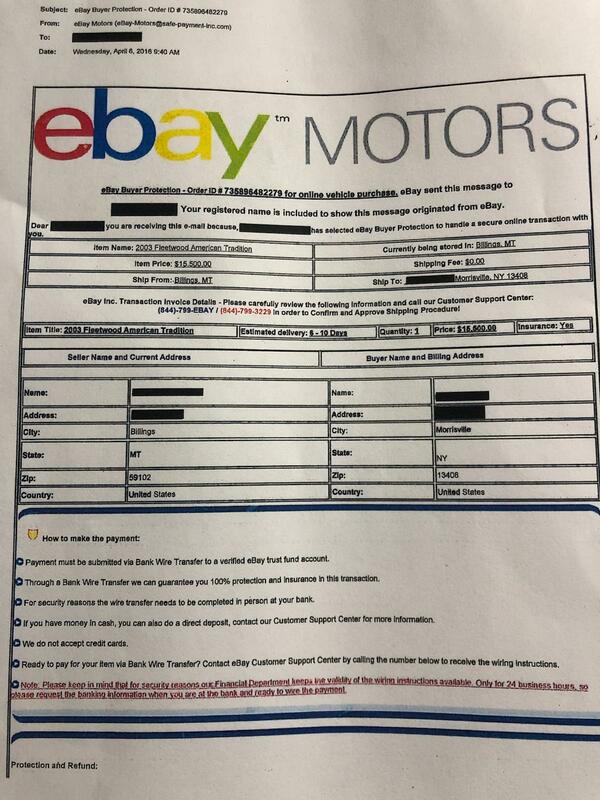 The trio enticed buyers by pricing the vehicles below market value and promising transactional security through an eBay Buyer Protection Program. 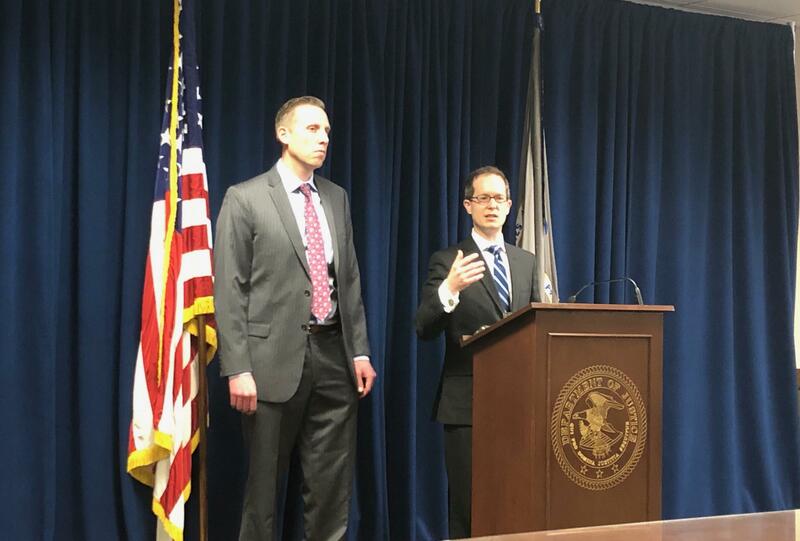 Benjamin Glassman, U.S. Attorney for the Southern District of Ohio, says the defendants had no such relationship with eBay and connected buyers to a fictitious eBay representative. Glassman offers the following advice for consumers. 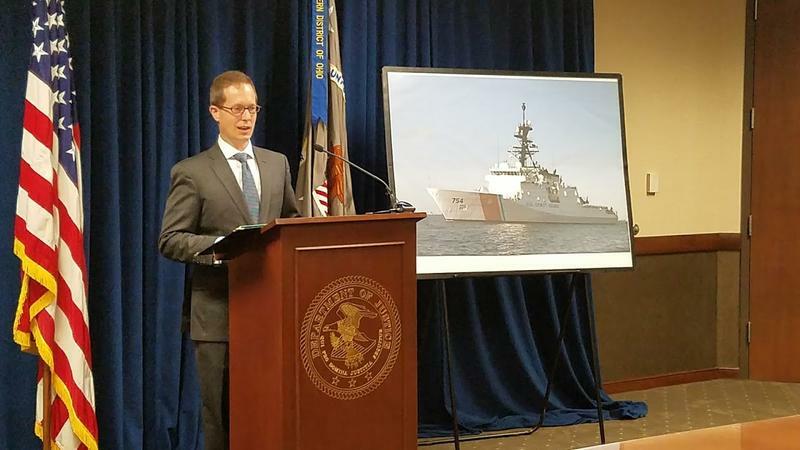 Glassman says investigators are working to track down the funds, but he also cautions that authorities may not have identified all the victims. He encourages residents who may have been victimized by this fraud to contact authorities at the following number 866-532-9098. Four defendants from overseas are being transported to Columbus today for federal prosecution after being charged with conspiracy to possess with intent to distribute a massive amount of cocaine.